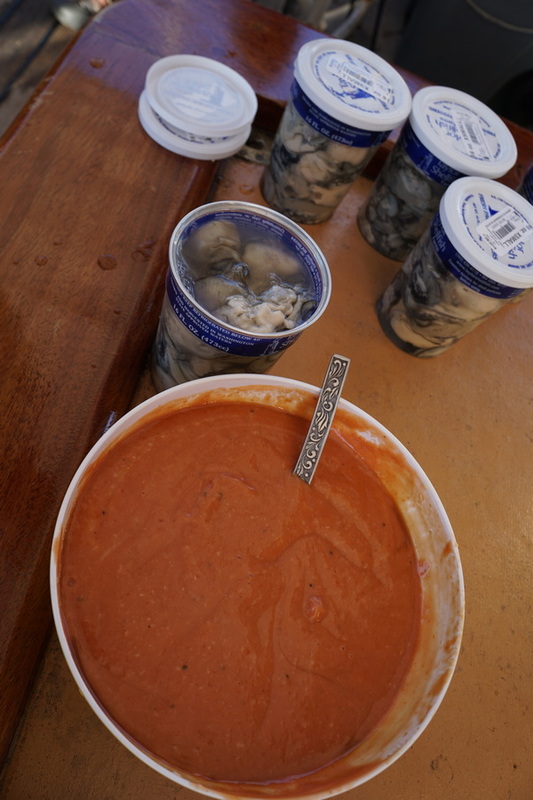 WJ Tested: A Sensational Feast for the Taste Buds While Sailing the San Juan Islands Aboard Tall Ship Schooner Zodiac in July 2018! 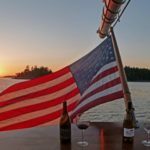 Having sailed on three previous multi-day trips on Schooner Zodiac through the San Juan Islands in Washington state, we were excited for our fourth outing and their 3-night seafood and wine cruise. 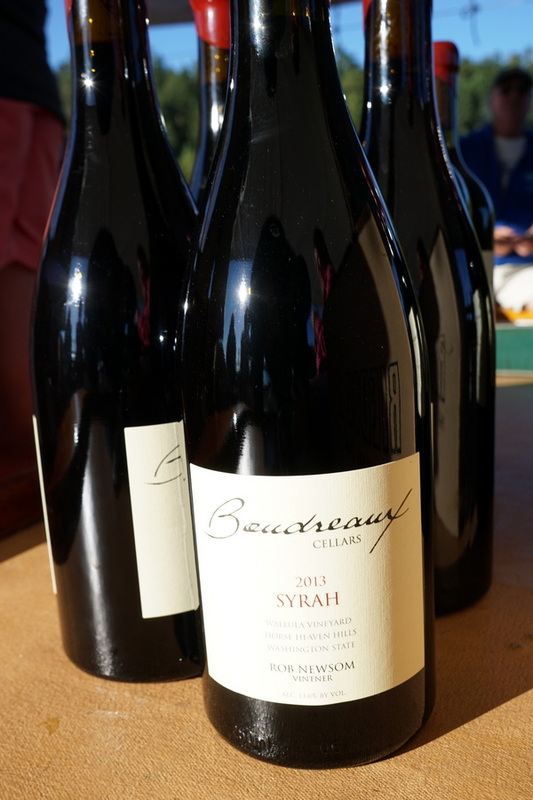 Turns out that each of our four days was idyllic – filled with fantastic weather, delicious food, excellent wines, spectacular scenery, wonderful people, and fun sailing. 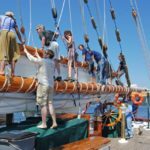 This sailing had 13 crew and 19 passengers for the weekend. Other than Captain Tim Mehrer and the wonderful cook, Caz Ludtke, all other crew were volunteers. The Zodiac, the last American pilot schooner, sails out of Fairhaven Cruise Ship Terminal in Bellingham, Washington. 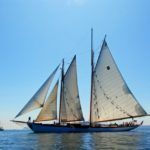 This is a two-masted, gaff-rigged schooner that has the largest working mainsail (4000sf) on the west coast. 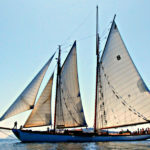 Designed by William H. Hand, Jr. and built for the heirs of the Johnson & Johnson family, she was first launched in 1924. Zodiac has an overall length of 160ft, a topmast height of 127ft, 7000sf of sail area and is 146 tons. 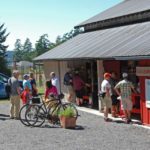 We’d spent a few nights in Bellingham with our days busy with active adventures (sea kayaking off Lummi Island with Moondance sea kayak adventures, and hiking at Mount Baker). 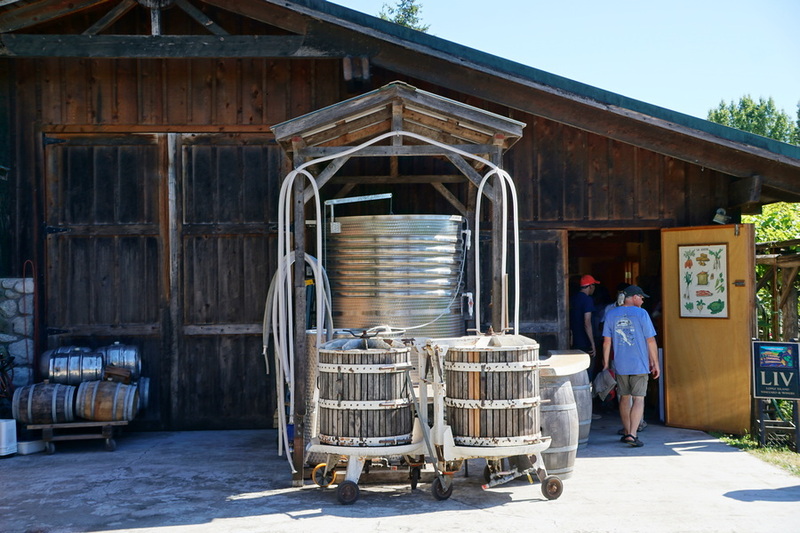 Our evenings were spent beer tasting and exploring the craft beer scene in the area – it’s excellent. 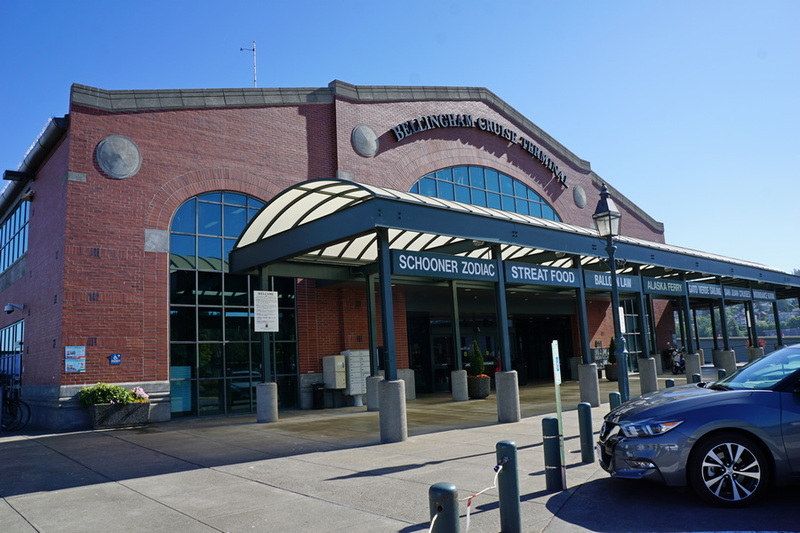 And our overnight lodging at Holiday Inn & Suites next to Bellingham Airport couldn’t have been more perfect and comfortable – excellent facilities and convenient location. 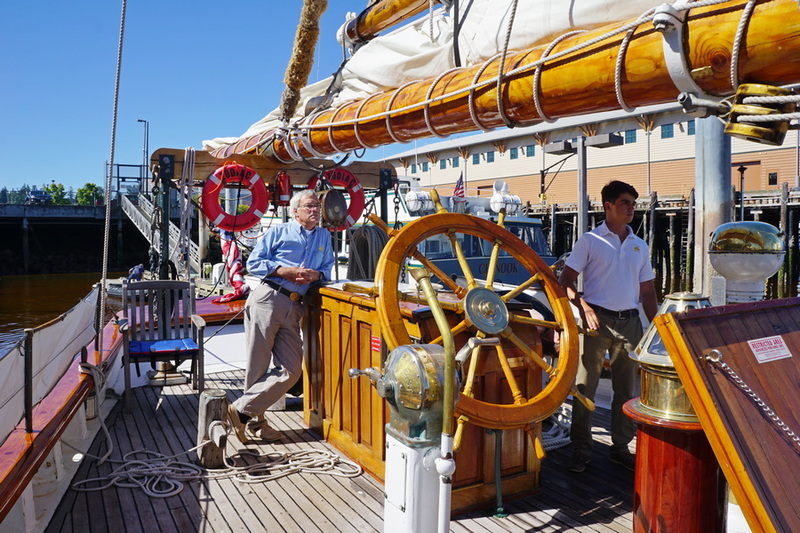 After checking out of the Holiday Inn, it was only a 12-minute drive to the Bellingham Cruise Terminal where Schooner Zodiac docks. We had ample time to unload the car and pay for extended parking in the adjoining lot before First Mate Henry met all passengers on the dock and at 9:30 took us on board. 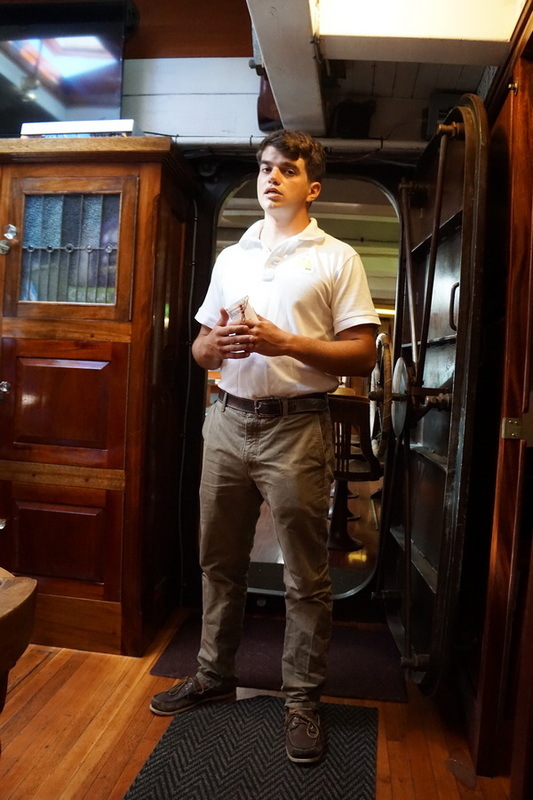 Richard – volunteer crew – showed us to our bunks (26 + 27) in the salon. Upper and lower berths, reminded us where the heads (toilets/showers) were located and gave us a few minutes to unpack what we’d need for the day. A few minutes later Henry joined all passengers in the salon for a safety briefing and ship instructions – always important to know where the PFDs are and how to correctly put them on. 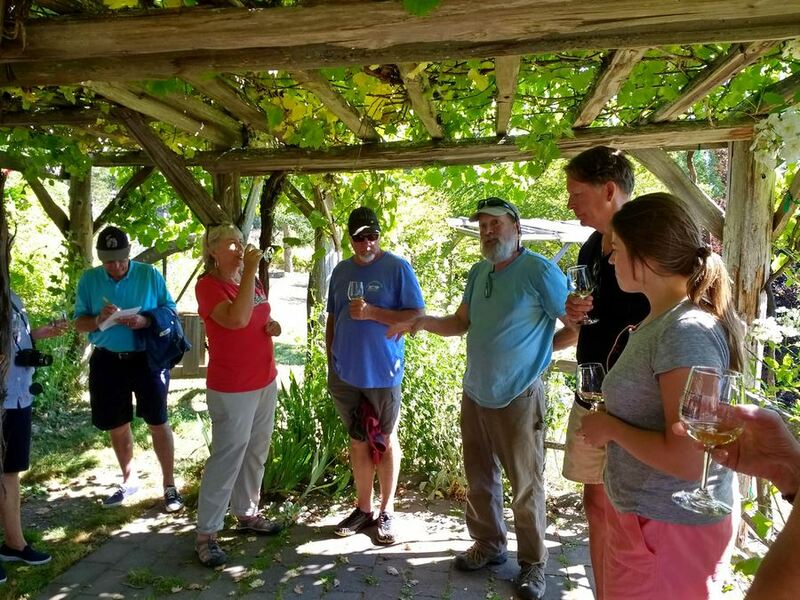 As this was a wine-themed cruise, Rob Newsom of Bourdreaux Cellars out of Leavenworth, Washington and his General Manager Audré introduced themselves and gave a briefing of what to expect during the trip. Word was given that Zodiac was about to depart, so we made sure to be up on deck to experience the sail-away from the cruise terminal at 10:25. 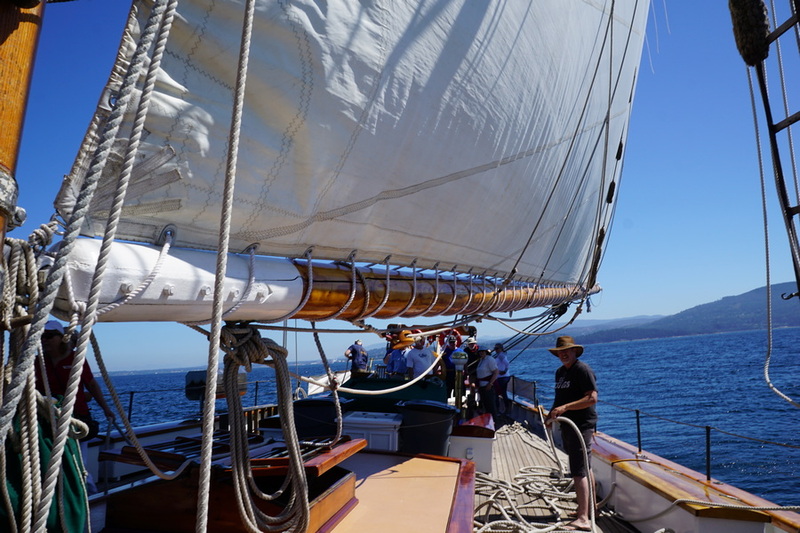 As we motored out in Bellingham Bay with Captain Tim, it wasn’t too long before Henry gave passengers their sailing station assignments and the call was made to raise the sails – always an amazing thing to be part of and witness. At first the sailing was amazing with lots of wind to fill the sails. But then, we stopped dead in the water alongside Lummi Island and sat going nowhere for a good 15 minutes until motoring out of the area as the island was blocking the wind. Almost immediately, the wind picked up and we sailed for at least the next 60 minutes when the lunch bell rang. 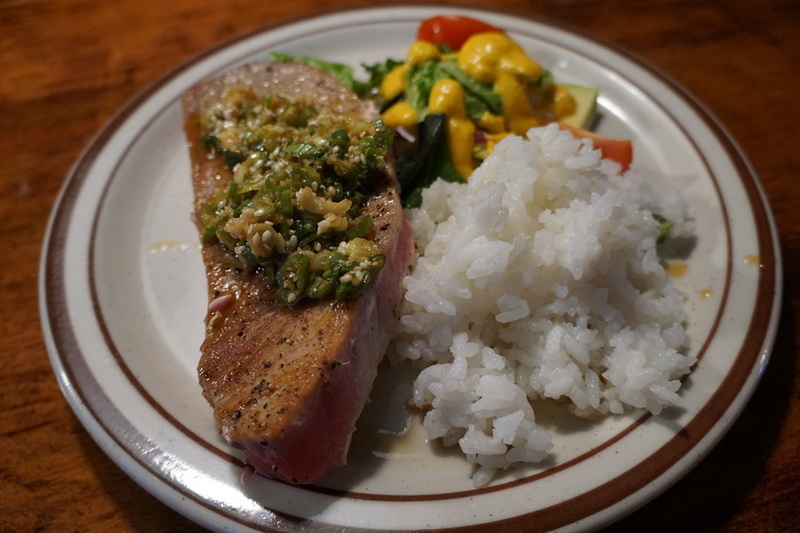 Today’s lunch was served about noon and cook Caz prepared delicious seared tuna steaks with ponzu sauce, white rice, and a mixed greens salad with avocado and a carrot miso dressing. It was all very yummy. Sailing continued during lunch, but once the winds died again it was time to drop sails and start motoring. 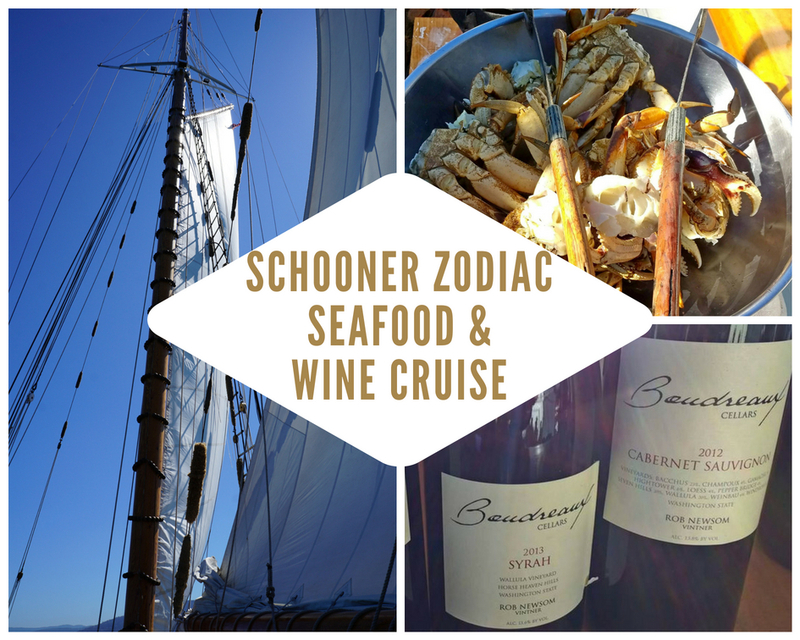 Schooner Zodiac motored past Orcas island and towards Lopez Island where we had an included winery tour and tasting at Lopez Island Vineyards – the oldest vineyard and winery in San Juan County (since 1987). We had about 2 hours on shore on Lopez Island. 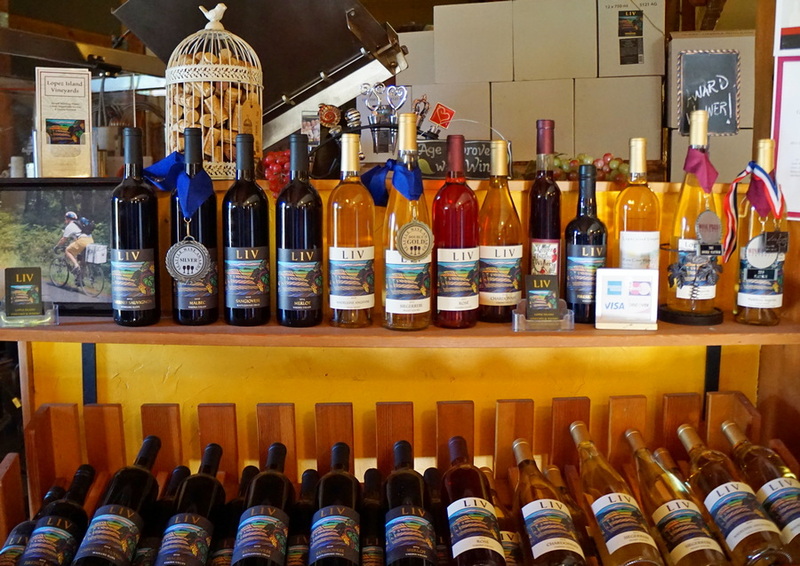 The tasting with the winery owner consisted of 2 white (both organic), 1 rose, 2 red, and 1 port. 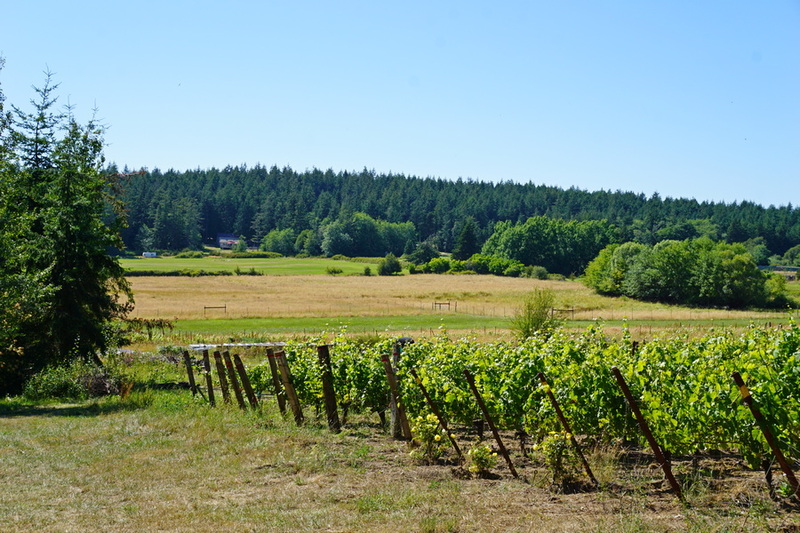 There was also time to wander around the grounds, purchase wine to take with us and enjoy the setting before being shuttled back to catch tenders to Zodiac. 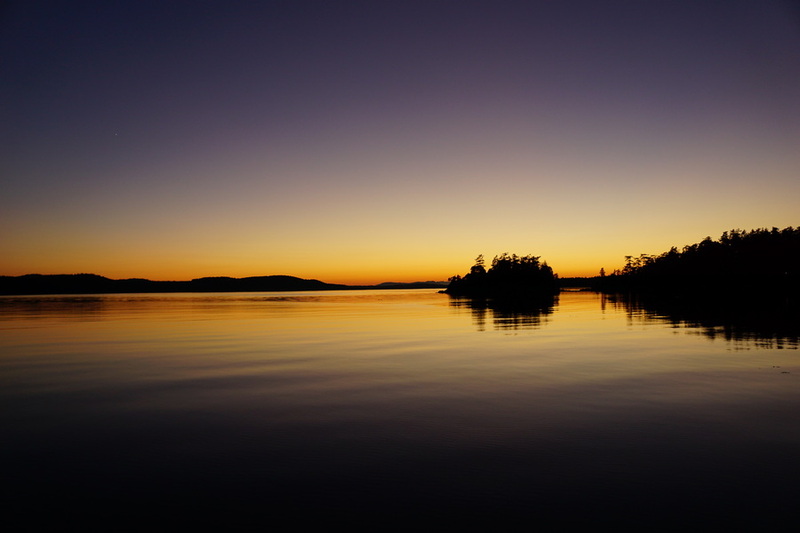 About 6 PM Zodiac raised the anchor and motored for about an hour to Parks Bay at Shaw Island where she dropped anchor for night. 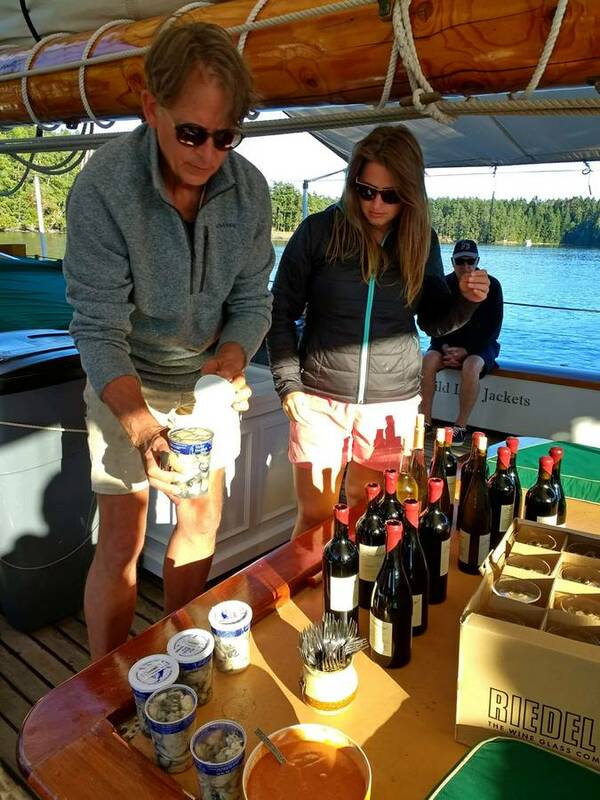 Shortly after the anchor was lowered, Rob started pouring wine and put out the shucked oysters he had picked up from Taylor Shellfish that morning. What a fantastic way to start the evening. 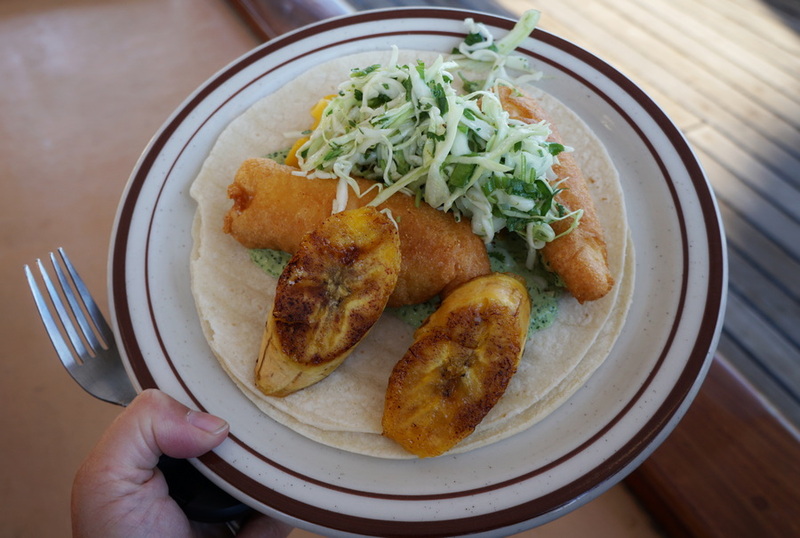 At 7:30 PM the dinner bell rang and it was time for a feast of fish tacos (battered tilapia), cilantro sauce, mango salsa and corn tortillas. The spicy shredded cabbage slaw was wonderful, and the fried plantains made an excellent addition to the meal. 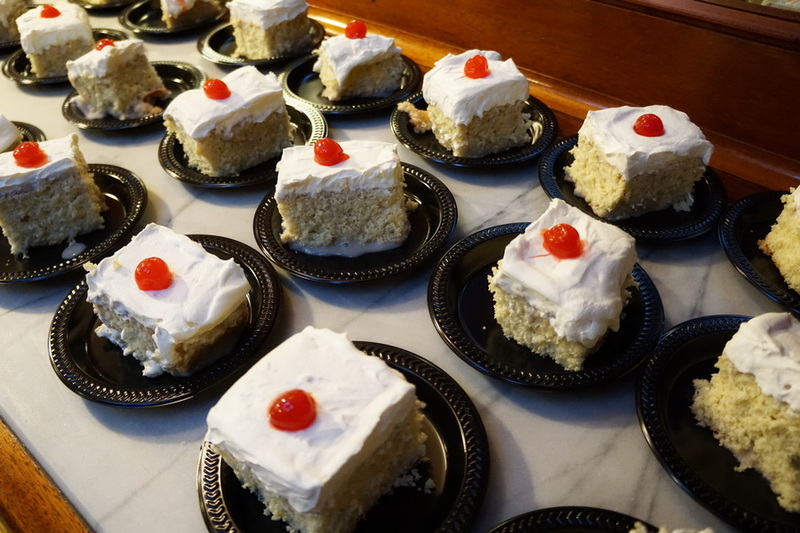 Dessert was a homemade tres leche horchata cake. Kayaking was available for anyone interested – but there weren’t any takers as everyone was enjoying the libations and food on deck. By 10 PM most passengers started going to bed. We took our sleeping bags and camping pads and went up to sleep under the stars. 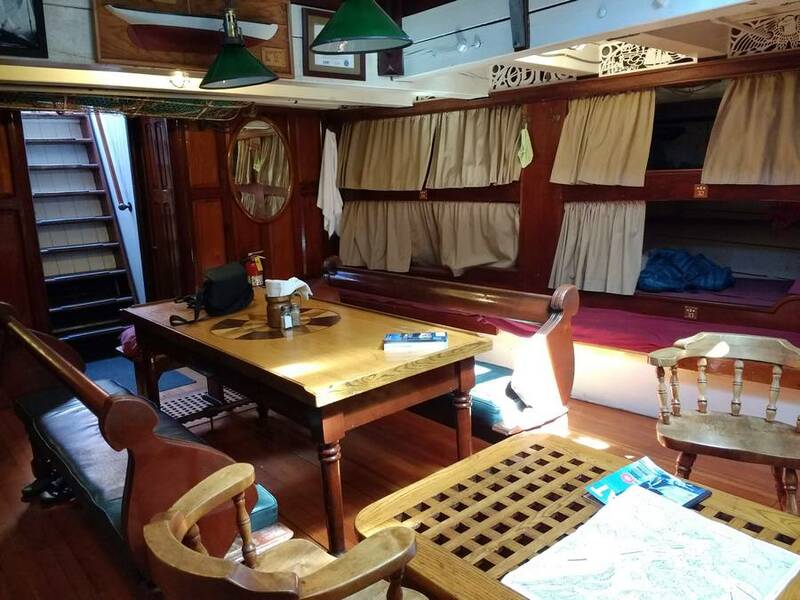 We’ve slept on deck each time we’ve sailed on Zodiac if the weather has been reasonable – this time the conditions were perfect and we thoroughly enjoyed watching the planets, shooting stars, and listening to the seals playing nearby. At 11 PM the generator went off and it was lights out. Other than the wine-induced snoring (bring ear plugs if you’re a light sleeper), it was a perfect night. Generator off at 11 pm. Lights out. Good night.